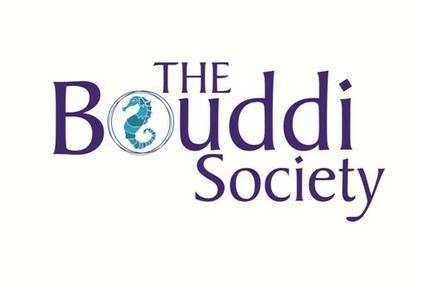 The Bouddi Society is a community group which organises public events and publications aimed at displaying and fostering the artistic, historical and cultural life of the local community. The Bouddi Society administers the Bouddi Foundation for the Arts. The Kid Stakes (1927) is one of the real gems of Australian silent-era cinema. Growing out of Syd Nicholls’ popular Fatty Finn weekly newspaper comic strip, the easygoing characters and likeable story had wide appeal to all ages, and with a charm that continues to entertain to this day. It appears to be the first children’s feature film produced in Australia. The Bouddi Society is organising an Artisans Show at Wagstaffe Hall on Saturday 8th & Sunday 9th June, 2019. Quality craft work will be showcased. Bouddi Peninsula residents & frequent visitors may enter, and interesting craft work from those living close to the Peninsula will also be considered. For more information please contact Margaret Crane at bouddisociety1@gmail.com. Bouddi Foundation for the Arts 2019 Grant applications are now open. If you are a young (15-25 years) local person on the Central Coast wishing to pursue a career in the arts, The Bouddi Foundation for the Arts is now accepting applications for grants up to $5000 thanks to generous donations. Details are at bouddiarts.org.au/grants Applications close May 31, 2019. Auditions will be held Sunday August 18 at Wagstaffe Hall and Hardys Bay Community Church. A special grant awards event will be held 10 November, also at Wagstaffe Hall. Since its inception in 2012 as a not for profit charity under the auspices of the Bouddi Society, over 80 grant recipients have received over $150,000 in grants, with 99 cents on the donor-dollar going direct to grantees. So whether you are a singer/songwriter, indigenous or classical dancer, opera singer, musical theatre star, visual artist, sculptor, film maker, writer, puppet maker or anything else that’s ‘art’, click into the site, get the details about what to include in your application, and send it in, pronto! Application details are found at bouddiarts.org.au, and grants can be submitted digitally through bouddiarts@gmail.com or in hard copy to the Foundation’s secretary PO Box 4081 Wagstaffe 2257. The collection of local photographs of people, places and events has been uploaded to Flickr. Click Here​ to be forwarded to the site. Over the June long weekend in the Wagstaffe Hall, the Bouddi Society hosted an art show for artists living on the Bouddi Peninsular. It has been hailed by everyone as a great success. There were 26 exhibiting artists that included both painters and crafts people. Ceramics, wood turning and leather were represented. The total sales for the show exceeded $10,000, and there was a record level in door donations and in the purchase of raffle tickets. Overall the Bouddi Society made $3,500 from the show. The art show was opened by John Bell who gave a very interesting and informative talk on the history of art which began in Italy in the Renaissance period starting in the 13th century. The big winner for the weekend was Meg Lewer from Wagstaffe who sold one of her paintings for $1,600 and also won the 'Bells at Killcare' raffle prize. The Bouddi Society would like to thank the exhibiting artists and the local community who helped to make this show so successful. Click Here to view art show photos.